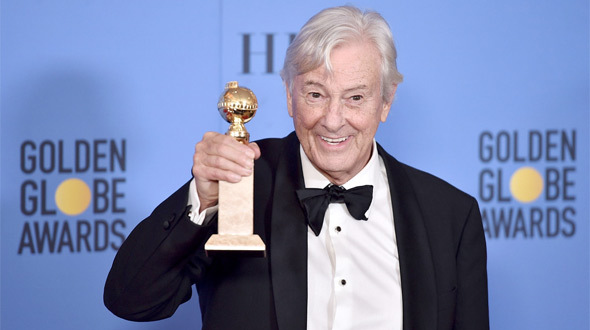 The winners of the HFPA's 74th Annual Golden Globe Awards, the precursor to the Academy Awards, have been announced tonight at a ceremony held at The Beverly Hilton hotel, hosted by late night comedian Jimmy Fallon. Hopefully this will be a lively show, as the HFPA can be quite boring. Our list below will be updated with all film-related winners as they're revealed during the live broadcast. The nominees featured a lots of great films from 2016, including Moonlight, La La Land, Hacksaw Ridge and Deadpool, of course, and I'm interested to find out which films/actors the HFPA fell for this time. Let's see who the winners are. 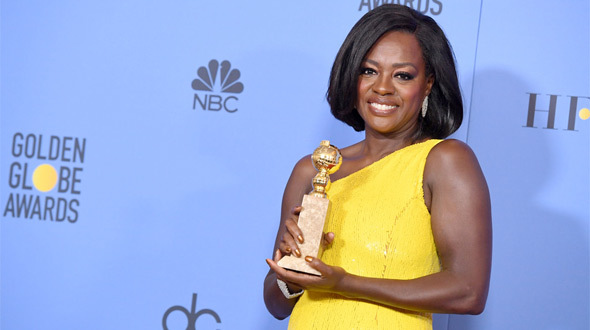 The 74th Annual Golden Globe Awards are being held at The Beverly Hilton as hosted by Jimmy Fallon with a live telecast on NBC. See the full list of 2017 film winners below. 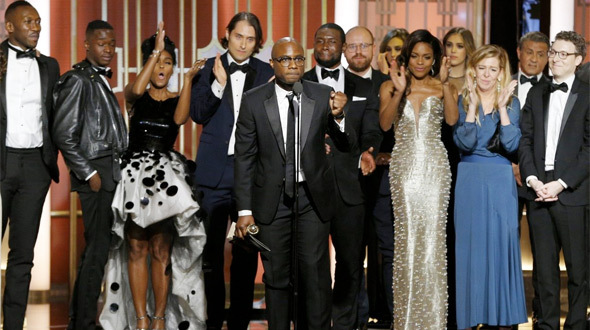 Winners highlighted in BOLD. Thoughts: Yes! Finally! A sweet victory for Moonlight here, so glad both La La and this get recognized. Thoughts: Casey is a very talented actor, a deserving win for an outstanding film. See it if you haven't yet. 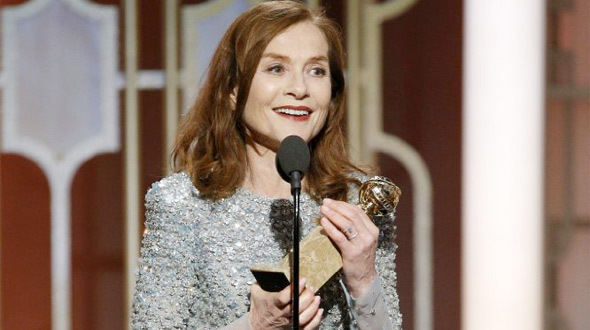 Thoughts: Isabelle Huppert is a legend! Great to see her win, even for a controversial film. She's fantastic. Thoughts: And it sweeps! 7 wins for La La Land. My favorite movie of the year, yes it is that good, yes it deserves most of these awards. I'm not complaining, I'm happy. Thoughts: Yay! A great win for Gosling, I'm happy for La La Land to keep winning awards. Thoughts: I do like Elle, but not everyone does. Though it should've been Toni Erdmann winning. Thoughts: Good movie, but not my pick. Kubo or Zucchini really should've won, they're even better. Thoughts: Wait, what? Alright, but we should also be giving this to Michael Shannon, too. Right? Thoughts: More wins for La La Land! 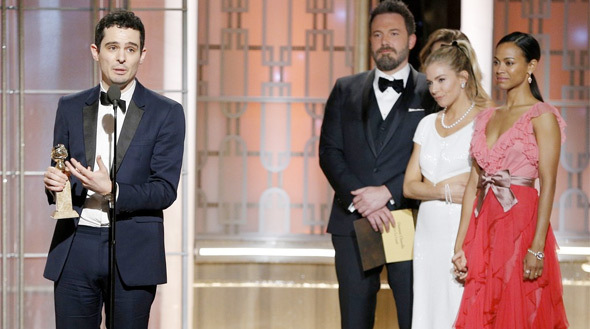 All of the nominees are great, but I'm happy for Chazelle. Thoughts: La La Land is on a roll, likely going to sweep the whole show. For screenplay? Okay. Thoughts: Go La La Land! Love this movie, happy for anything/everything it wins. Final Thoughts: What a night! Go La La Land!! I love this movie so much, I'm very happy it was the big winner. And I love Moonlight! Both of these movies winning is wonderful, I wish we could do this at the Oscars, too. I'm happy overall with almost every winner except for a few of them that seem a bit odd. Best Supporting Actor should've gone to Mahershala Ali or Dev Patel, not Aaron; the Best Foreign Language Film is Toni Erdmann hands down (though I do also like Elle); and Natalie Portman should've won for Best Actress, but she still has a shot at the Oscar. Besides that, between La La Land winning and two other wins for Manchester by the Sea and Moonlight, this isn't that bad. These three are the best movies of the year. What do you think of the 2017 winners? How is the show this year with Jimmy Fallon? Any better? Are these winners an early indicator for Oscars, or not? What favorite movies from 2016 are you rooting for? Why aren't you write your thoughts of the womens win? Haven't seen Fences yet. I interviewed Emma Stone! All my thoughts about her are there ha. And I did write something for Isabelle Huppert. Thanks for your respons! Then I understand. And so you know, I was to early with my message, cause you haden't wrote about Isabelle Huppert when I wrote. Ali losing to Taylor-Johnson elicited a violent, "NO!!" from me. I could not believe it. Otherwise, no surprises, and that was a good thing! My thoughts exactly! It was a good show minus Jimmy Fallon.